There's only one real choice; Digimura-1 is the only one-piece digital wallcovering on the market that meets all the legal requirements for commercial and contract interiors. We know that our customers take responsibility for their work; we also know that if you are producing one-piece wallcoverings or offering any other digital décor service, you too are legally responsible for ensuring that any product you supply to your client is fully compliant with all the necessary regulations. We're here to help you deliver worry-free and profitable work! 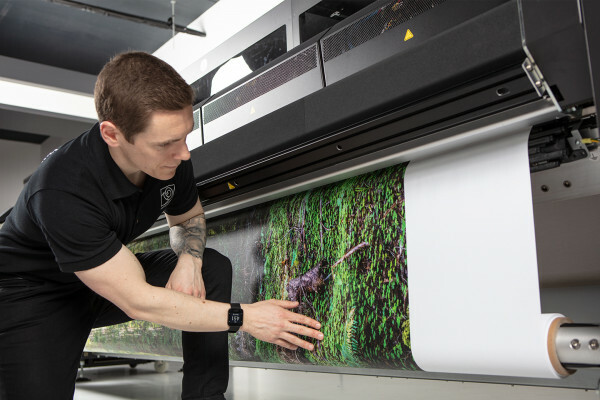 At Papergraphics, we focus on what our customers need; we help you to deliver worry-free work; and as with all of our wallcoverings, we've made sure that Digimura-1 not only prints brilliantly, but is also fully compliant with the Euroclass EN 13501-1 fire-rating — even when printed! Most importantly, it also has a CE Declaration of Performance – which means it conforms to the required Construction Products Regulation EN 15102. Available in a 3.2m roll-width, perfect for the average contract interior ceiling-height (between 2.6 and 2.8m). 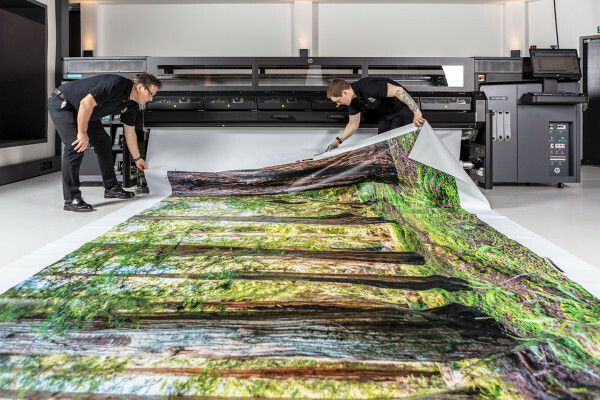 Enhances productivity; one-piece wallcoverings simplify artwork, require just one print-run, and reduce waste during installation. From its high-grade print quality to its commercial fire-rating, Digimura-1 is the only one-piece wallcovering that meets all these requirements. Digimura-1: tested for print performance. 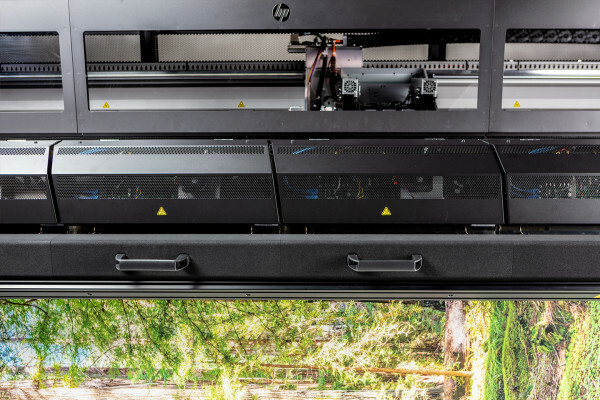 Digimura-1: printed on a super-wide HP Latex 1500. Digimura-1: tested for ease of installation. 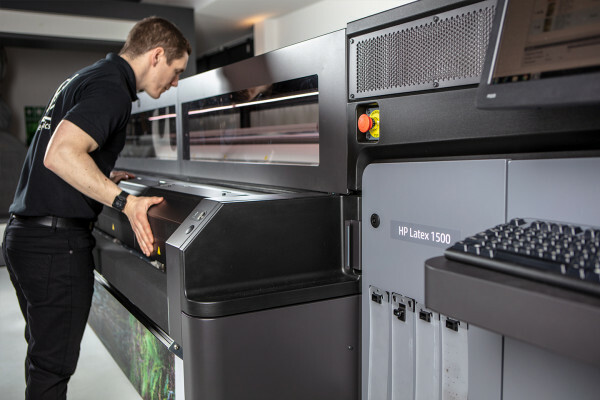 Caption: "we test every product for print performance, ease of use and durability. 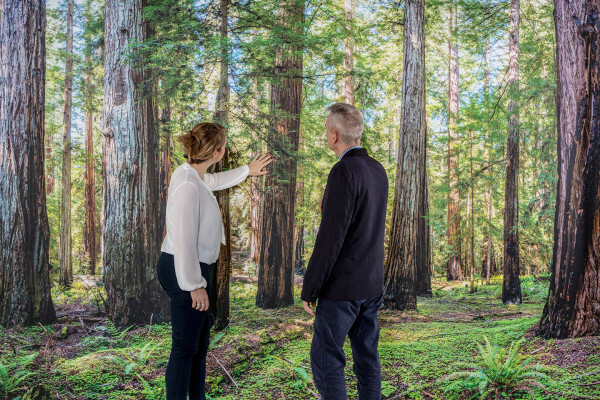 Papergraphics' technical support team printed this Digimura-1 one-piece wallcovering on a superwide HP Latex 1500; then we installed this seamless photo-mural within our customer training facility". The market leader in large-format digital décor wallcoverings. 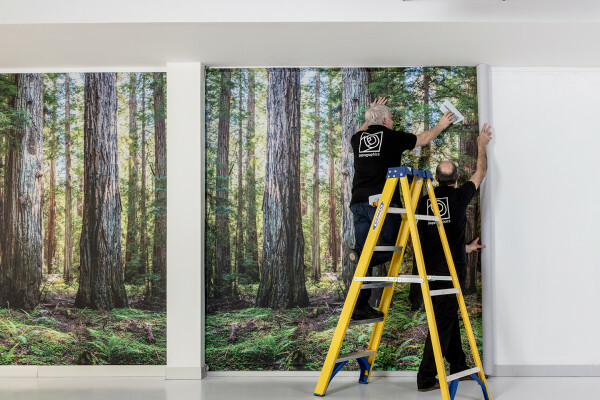 Papergraphics is the industry expert in digitally printable wallcoverings and is renowned for our market-leading range of Digimura®. It’s a brand name that designers, architects, printers and installers know and trust for quality, consistency, and perfect results. We recognise the importance of having the right tools for the job, and using the right product for the job is a legal obligation in commercial interior design. All of our wallcoverings meet these regulatory requirements, and also offer different grades, durability and finishes, giving our customers the right solution to meet the specific needs for any interior project or application. Digimura-1 is the latest addition to our wallcoverings range, and it has been manufactured to deliver the perfect solution for superwide printing of seamless, worry-free commercial flat-wall graphic installations; it's the only one-piece wallcovering available on the market that is fully compliant with the Construction Products Regulation EN 15102. You can do more when you work with Papergraphics and Digimura. Papergraphics also offers additional specialist support: from technical advice for delivering consistent and exceptional print quality using our digital wallcoverings; to training in contract-quality wallcovering installation and identifying which of our industry-leading products is the best solution for your project — talk to us today, we’re here to help you succeed! PVC coating for excellent durability. Digimura-1 is perfect for seamless office feature walls. 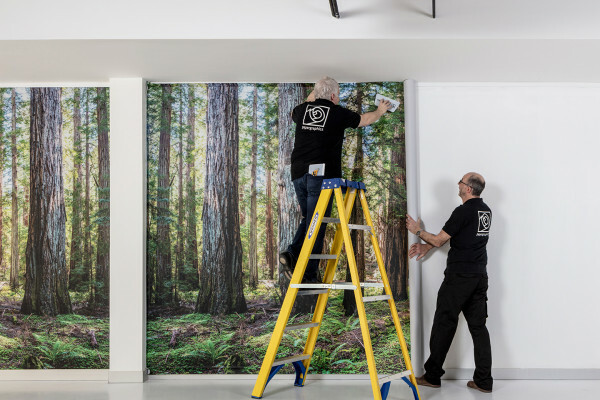 Photographic murals for branded environments. Ideal for super-wide digitally printed retail promotions. Wall décor for restaurants, cafés, bars, and hospitality interiors. Bespoke printed décor for corporate reception areas. Digimura-1 is only real choice for one-piece wallcoverings.